Who are you Summer, and what do you do in the world? I am a movement coach & educator, transitioning into Flow artist and visionary. The two career paths (educator and artist) really don't need to be separate. We actually learn better when we play, and when we are tapping into what is known as Flow State. 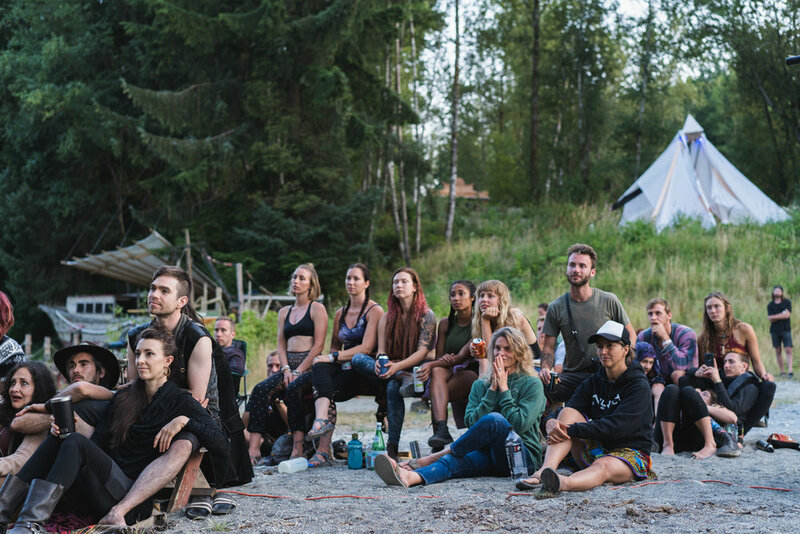 My name is Summer Huntington, and I created the Flow State Summit for people to Elevate, Connect and Re-Wild themselves. And the crazy idea worked, we knew it would. Flow State Summit was my ‘peace leadership’ project after I finished my 500 Hour Yoga Teacher Training with my coach, Noah Maze. The goal was to create an event that merged multiple disciplines, and to demonstrate that we are stronger together than separate. To show that we can skill share, create and learn in an outdoor environment. We can share community breakfast together, and swim and paddle board and play together while learning, and we can let go of competition and just support each other. Honestly putting together this event, and working with Alise on it has been such a wonderful Flow. We both care about it so much, and the vision behind it that when we get together it is fun, and we get to create really cool experiences for people. Like this upcoming launch party collab with Erica Kutz of Mountainmind, and a couple of our DJ friends. It all kinda flowed together (lol). But really it did. And everyone on production seems pumped. It is pretty sweet. That is an easy one. It is so simple it can be hard actually. Train on a wave. Sunday no intensity, Monday low intensity, Tuesday moderate intensity, Wednesday High Intensity, then repeat that cycle: no, low, mod, and high. That is what I coach at Flow Shala, and it works. Not sure where to start, try getting a RAD Roller Kit and my Pure Mobility online program, it is awesome for anyone wanting to get into mobility and breath and fascia. Cold plunging at the quarry. Float Therapy at Still Life Massage and Float. Gut health tonics with lemon, ginger, apple cider vinegar, cinnamon and cayanne. My son, and living at the Lookout Arts Quarry. I really love living in community and being surrounded by creative humans. It makes me a more balanced person, in my busy life. What can people expect at the 2nd annual Flow State Summit? We are putting together a Flow State paper manual (spiral bound, if you know me, I loooove manuals), so that you can come a little prepped to each headlining workshop and have a place to write your notes. There will be other spots for personal development and journalling too. We really want people to leave with knowledge and information they can apply right away. Also, people weren't really expecting the circus element last year and it rocked their world a bit. I plan to have Ladybeast from New Orleans back with her new production, plus our local Bellingham and Seattle aerialists, Zeptospace, Mystic Tribe, Sensebellum with Dome and light art and more. Our DJ list and musician list will continue to grow and grow.